Making your company more visible on local search results pages is a great way to attract new business. After all, if local people can’t find your company online, how are they supposed to find it at all? If your business doesn’t appear in the local search results pages, you can be sure that other companies do. Improving your local SEO strategy makes it easier for people to find your business, and the first stop along the way is to make the most of Google+ Local, which is used to be known as Google Places. Perform a search for the products or services that you provide on Google. The first handful of results will probably be listings for businesses in your local area. How do they attain such visible listings on the local search results pages? In most cases, they do so by claiming, verifying and optimising their Google+ pages. While it’s technically possible for a business to appear in this coveted spot without any extra work, the reality is that competition is fierce. More business owners are aware of the power of Google+ than ever, so it’s crucial to make your listing as useful as possible. Before delving more deeply into the benefits of creating and optimising a Google+ page for your business, you may need a little more convincing about the advantages of winning at the local search game. Consider this: According to Pew Research, 74 percent of smartphone owners use location-based services. A 2011 report by Google and Ipsos OTX revealed that 88 percent of consumers who search for local businesses on their mobile devices end up calling or visiting within 24 hours. According to WebVisible, 86 percent of survey respondents use the Internet to find local businesses. With all of these points in mind, it’s easy to see why it pays to appear prominently in the local search engine results. By claiming, verifying and optimising your company’s Google+ Local page, you dramatically increase the odds of it being found by people who are on the move in the local area. When looking for local businesses, people don’t tend to ask around for help; they generally consult their smartphones and other mobile devices. If your business doesn’t appear when such searches are conducted, it might as well not exist at all. While creating and maintaining a Google+ page doesn’t guarantee that your listing will be near the top of the results, it increases the likelihood of that happening and gives you an edge over the competition. All too often, business owners downplay the powerful influence of Google+ Local and focus almost all of their social media attention on sites like Facebook and Twitter. Here’s the thing: While Google+ may not be as popular as Facebook, it has a very distinct advantage in that it is intimately connected to the Google search engine. Whether it’s fair or not, Google+ Local listings seem to get preferential treatment when it comes to local searches. Even if you don’t plan on being very active on Google+, setting up and optimising a page for your business is quick and easy. The results of doing so can be absolutely incredible. Don’t stop with claiming and verifying your company’s Google+ Local listing. Take some extra time to optimise it as much as possible too. This means that you should fill in each and every section, being sure to choose the most relevant categories for your business. Be as descriptive and informative as possible. If you already have an SEO strategy in place, be sure to include plenty of relevant, targeted keywords in your listing as well. These steps will increase the visibility of your business on Google and increase the odds of it showing up when people search for your goods and services in the local area. 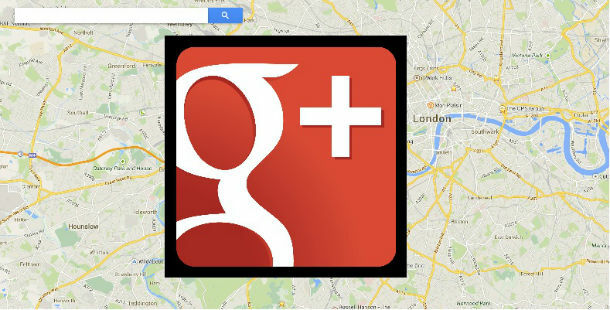 Your new Google+ Local listing probably won’t affect your local search results right away. Like almost anything else related to SEO, these changes may take time to have a real impact. Once they do, though, the results are sure to be quite dramatic. Shortly after appearing in the local search results for the first time, you’ll probably see an uptick in traffic to your website. This should also be accompanied by increased volumes of visits and phone calls. Over time, this increased activity will result in increased profits, which will ensure the ongoing success of your business.